Don't Miss Kneipp’s Black Friday into Cyber Monday beauty sales! Go get your shopping on so you don’t miss these amazing deals! As fall temperatures are starting to set in, face care is more important than ever to prevent dryness. With products from Kneipp, you can prepare, activate and cleanse your skin with their wide, moisturizing selection. Invigorate, freshen and vitalize the skin with this face mask. Well tolerated by sensitive skin, the cell-protecting vitamin E and the nourishing almond oil makes the skin noticeably smoother. With the variety of plant-based ingredients, the moisture level of your skin will increase over 24 hours. Gently cleanse and remove any make-up without drying out your skin. This cleansing milk contains high-quality, nourishing almond oil and vitamin E, giving the skin a soft, silky appearance. *From now until October 1st, ALL face care products are 25% off on Kneipp.com. August 15th is National Relaxation Day! Did you know that? I didn't either, but I am happy to celebrate it! Who doesn't love to relax? 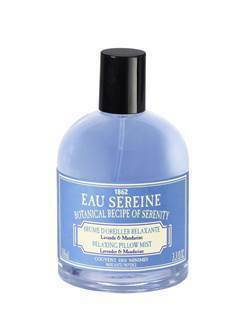 Indulge in a moment of pure tranquility and keep the relaxation going with Le Couvent des Minimes Eau Sereine Relaxing Pillow Mist. The scent blends essential oils with florals for a fragrance that evokes a sense of calmness. Spray the fragrance onto your sheets or into the air in your bedroom, and allow the soothing scent to provide an instant feeling of well-being and allow you drift away to peaceful relaxation. 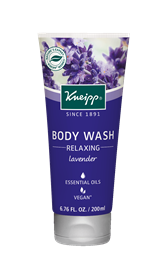 National Relaxation Day is coming up on August 15th, and Kneipp is here to help you slow down, unwind and relax. 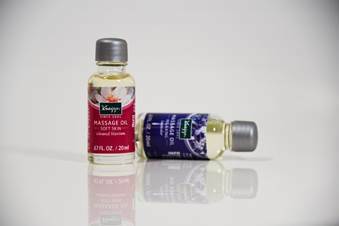 From relaxing to muscle comfort, Kneipp’s Massage Oils contain essential oils and give off enchanting fragrances, the perfect addition to your stress relieving massage. The key ingredients in each oil offers something special to help you relax. Consisting of arnica and ginger extracts, shea butter, sunflower oil and almond oil, this massage oil nourishes, relaxes and moisturizes the body. In addition, it is one of the best post-workout remedies as it helps relieve pain and inflammation from joints and muscles, while also relaxing the body. With natural lavender essential oil, this intensely pampering massage oil unfolds its balancing, aromatherapeutic effect on the body and mind while massaging. The lavender is also known to help calm and relax the body and mind, improve mental well-being, promote better sleep and ease pain and tension. Complete with jojoba oil and almond oil to nourish and hydrate the skin, the oil spreads easily and absorbs slowly to allow the maximum benefits of a relaxing massage. Best suited for those with sensitive skin, the almond oil has a high level of essential fatty acids, providing intense nourishment to the skin and supporting the natural regulation of skin moisture. The special fragrance enchants your senses and ensures pure relaxation. Price and availability : $23 and available on Kneipp.com or Kneipp locations in Massachusetts, New Jersey, New York, Pennsylvania and Washington D.C.
**In honor of preparing for International Relaxation Day, there will be a promotion where ALL Kneipp Oils will be 50% between August 11th and August 13th. 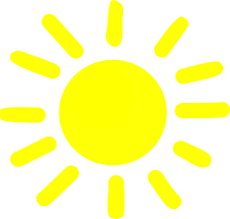 FIND THE RIGHT CLEANSING FORMULA FOR HOT SUMMER DAYS! There’s no better feeling than washing up and feeling clean after a day in the sun and heat. With Kneipp bath products, you can find the best formulas that will cleanse the body, while also helping you feel relaxed, refreshed and rejuvenated. Give yourself a refreshing moment of happiness! The lively fragrance of lemon mint and it’s special texture made with natural, nourishing avocado oil, provide an extraordinary shower experience to gently cleanse and moisturize the skin. 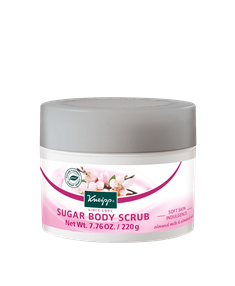 Treat yourself and your skin to the soft care of this body scrub, which contains true ingredients of almond blossom. Not only does it smell heavenly, but it will help remove the dead skin, leaving your skin feeling soft and smooth. This lavender body wash, containing natural lavender oil, has a gentle, balancing effect after mental or physical exertion. The plant-derived, soap-free and pH-balanced formula cleanses gently, leaving skin soft and supple. 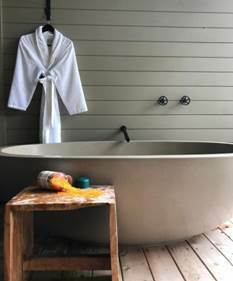 There's nothing more relaxing as a hot, luxurious bath, ahhhhh! When mixed with the steam of the bath, Kneipp bath oils bestow a natural therapeutic effect on the body’s systems. From soothing tired muscles to relieving colds and de-stressing, Kneipp’s bath oil collection has something for everyone. From enchanting scents to the blends of nature’s best plants, Kneipp’s bubble baths will allow your mind and body to rest, relax and rejuvenate. They offer long-lasting bubbles for a holistic bathing experience through the interaction of color and aromatherapy. Kneipp bath salts are untouched by environmental influences and free of chemical additives. The salts are blended with nature’s most fragrant, beneficial plants to create a signature formula compared to none. In 15 minutes, your bath becomes your personal retreat.